COULD interest rates really go lower? The Bank of England monetary policy committee seems to think so. The minutes from the last two months show this has been on the agenda and commentators are now suggesting if the economic situation continues in its current state for much longer, then a further reduction in the base lending rate in the UK could well see it drop to 0.25%. Actually, that is not as far fetched as you think. The minimum lending rate in the US is already at that level and in Japan it currently sits at 0.1%. In contrast in emerging countries like Brazil and Russia current rates are 8%. This can partly be explained when you look at the latest global growth forecast from the IMF, which suggests overall world growth this year of 3.9% but only 2.1% in the western world and 6% for the emerging world. It also helps put into perspective the immense impact on countries like Spain and Greece, which are continuing to face borrowing costs in the region of 7%. With the ongoing concerns about the Eurozone and now worries about a potential collapse in the Chinese Property market, it is little wonder that during the quieter summer holiday months, markets are turning wholesale to gilts as a safe haven to preserve capital, or simply sitting on the sidelines on ever increasing piles of cash! But this stockpile will only last for so long and when institutions judge it is time to invest back into markets, they are likely to drive markets higher in the process. So where does all this leave the average investor who is trying to get a return on their capital over and above inflation or to generate an income from their investments? In the short term, security of capital has to be the first consideration, even if this means rates of return barely keeping pace with inflation. But in the medium to longer term, many commentators believe a return to sustained growth for a period in stock markets is only a matter of time away and the only place to be when a market starts to rise is in it! Unfortunately, human nature works against most of us because our instinct is to invest in places that have done well and to pull out of those that are doing badly. To a degree, this makes some sense, but the timing is inevitably way off. As a result, people will buy investments at or near the top of a market and sell again at or near the bottom. No wonder then that many end up disillusioned, not to mention, out of pocket. Starting from now, the solution should be a planned return to market linked investments in a controlled way – this has to make sense for the medium term investor. There is no such thing as a quick fix though and there will inevitably be some bumps along the way. But now is an excellent time to review investments, dust off the pension policies and have a thorough reappraisal of how your capital should be invested to make sure of better returns and that you don’t miss the boat when markets move ahead. 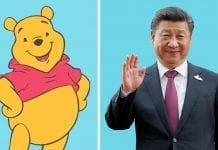 Why was Winnie the Pooh banned in Spain ahead of Chinese president’s state visit this week?